Philadelphia Weight Loss Is Breakfast the Most Important Meal of the Day? From television commercials advertising large bowls of morning cereal, to food-pyramid nutrition taught in elementary schools, America is rooted in the idea that breakfast is the most important meal of the day. But, is it? 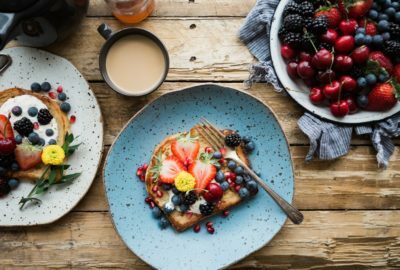 In this quick and comprehensive lesson on Eating Breakfast, you’ll find the importance of personal choice when it comes to weight loss, and we’ll combat the floating dogma that breakfast is essential for weight loss. For some, just the opposite may be true. If you find breakfast leads to food cravings throughout theday, then don’t eat breakfast. On the other hand, if you feel energized from eating in the morning, keep doing what works. Permanent weight loss begins when you start paying attention to what works for you and not what an internet nutrition guru tells you what must be done to lose weight. Stay tuned for more helpful tips on weight-loss, exercise, and overall balance here and on our social channels.